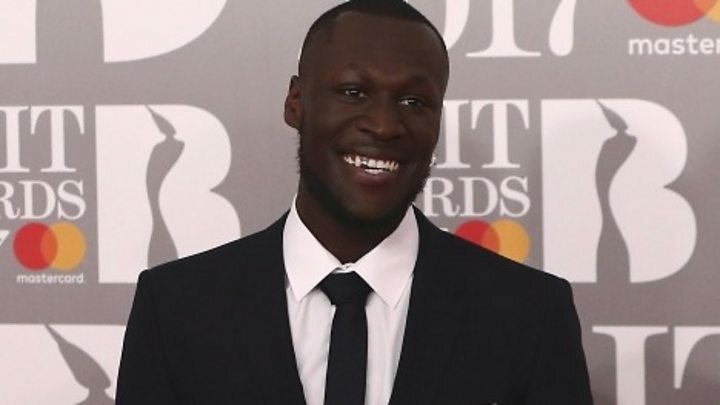 Grime star Stormzy hit headlines earlier this week after an unexpected act of generosity. When Oxford University student Fiona Asiedu set up a crowdfunding campaign to raise £12,000 to go to Harvard, a friend tweeted the star asking him to help out. His response? He pledged £9,000 the same day. "It was just surreal," Asiedu said. "It was quite a shock, I couldn't believe it, I'm still quite overwhelmed by it." The friend tweeted him back promising to thank him by taking him to Nando's - to which he replied: "Deal!" Stormzy isn't the only celeb who has been splashing the cash to help fans recently. Here are some others doing their bit to give something back. Nicki Minaj launched a contest on Twitter earlier this month, promising to fly the winner out from any country in the world to spend time with her in Las Vegas because "ya muva makes enough money" to do so. That brag prompted one fan to ask: "Well you wanna pay for my tuition?" She did, as it turned out. Minaj replied: "Show me straight A's that I can verify w/ur school and I'll pay it. Who wants to join THAT contest?!?! Dead serious. Should I set it up?" The star spent the rest of the day replying to around 30 begging tweets, promising to pay for fees, loans, debts and equipment, and asked fans to DM her their bank details before promising to "do some more in a month or two". Last month, Mercedes Edney started a crowdfunding page to raise the $5,995 (£4,600) fees for the Academy of Nail Technology & Esthetics. When model Chrissy Tiegen saw it, she decided to donate the remaining amount - $5,605 - and left a message saying: "I've seen this be your passion for such a long time now. So excited to see you fulfill your dream!" Mercedes later posted a picture of her enrolment receipt, saying: "I have been crying all night and I cried in the office this morning as I paid my downpayment for esthetician school. I haven't been this happy in a very long time." Taylor is perhaps the queen of good deeds. She's been the fairy godmother to countless fans, whether it's paying off student loans, sending them surprise Christmas gifts (#Swiftmas), popping along to bridal showers or spending time meeting them. The star's charitable donations include giving $50,000 (£38,400) to an 11-year-old girl who had to miss one of Swift's concerts to undergo leukaemia treatment, and another $5,000 (£3,840) to cover the funeral costs of a fan who died in a car crash. And it's not just fans she helps - following the floods in Louisiana last year, she donated $1m (£768,000) to help relief efforts. George Michael was well known for his work with major charities - royalties from a number of his songs were donated to Ethiopian famine relief efforts, as well as HIV and children's charities. But he also secretly helped many others and in the days after his death, numerous tales detailing the singer's generosity came to light. These included giving £15,000 to a couple for IVF treatment and £5,000 to a barmaid who was a student nurse in debt. It also emerged he had worked anonymously at a homeless shelter. A crowdfunding page set up to help Svend Peterson, the 86-year-old long-time pool manager at the Beverly Hills Hotel, caught the eye of Oscar winner Sandra Bullock last month. She was touched by his story after hearing he had become homeless and sometimes went three or four days without food. The star donated $5,000 (£3,800) to the campaign to help Svend find an apartment, leaving the message: "Everything is going to be OK!" According to an updated GoFundMe page, Svend has now found a new home and has received enough donations to pay his rent for a year. While at the Toronto Film Festival in 2007, the Irish star made headlines after he took a homeless man on a $2,100 (£1,612) shopping spree, buying him clothes and a sleeping bag. He then withdrew a chunk of cash and gave the man, named Stress, the money to help rent a room. It turned out the pair had met three years prior, when the actor noticed Stress outside a restaurant and the star had remembered him. They've kept in touch since and Stress credits Colin with helping to turn his life around.